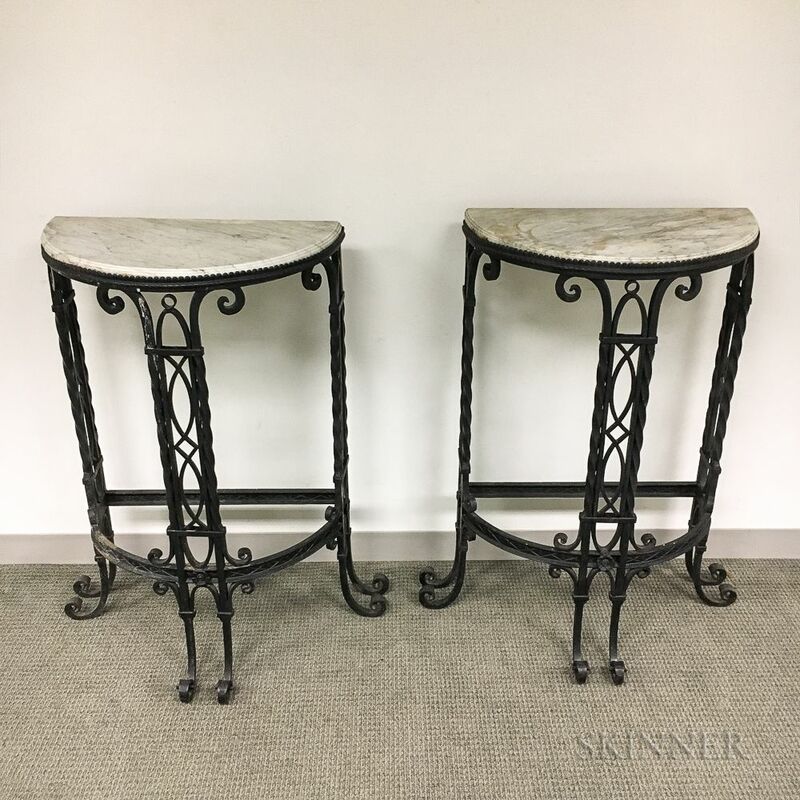 Pair of Wrought Iron Marble-top Demilune Console Tables, ht. 40 1/2, wd. 25 1/2, dp. 13 1/2 in.